Beginning in the early 20th century, International Women’s Day (IWD) represents and celebrates women’s achievements across the ages and highlights the problems that women around the world are currently facing. The new millennium brought significant change, both legislative and societal, for women with greater rights, equality and emancipation. However, such developments are not recognised across the globe with millions of women still facing inequality and violence, unaware of their rights. In the world today, the UN Secretary-General’s campaign UNiTE, to end violence against women, has recorded that up to 50% of sexual assaults are committed against girls under the age of 16, 603 million women live in countries where domestic violence is not yet considered a crime, around 70% of women in the world report having experienced physical and/or sexual violence at some point in their lifetime and over 60 million girls worldwide are child brides, married before the age of 18. The international community remains strongly committed to changing the plight of women across the globe, with International Women’s Day an opportunity to draw attention to these issues. 2014’s IWD theme ‘Inspiring Change’ takes a broad approach advocating women’s advancement globally. This theme aims to encourage action and greater positive change for women across the world, such as challenging the status quo for women’s equality, recognising our power to inspire change in future generations and motivating society to accept more women in senior leadership roles. The latter is already underway with the US Senate announcing Janet Yellen as the next head of the US Federal Reserve in January, the first woman to lead the central bank in its 100 year history. Similarly, Somayya Jabarti is inspiring change being appointed as Saudi Arabia’s first female editor-in-chief of a national newspaper, the Saudi Gazette, in February. Most recently, Hala Shukrallah has become the first woman elected to head a political party in Egypt, the Dostour party. This is an encouraging sign, since the revolution that overthrew Hosni Mubarak in 2011, that social structures, which previously hindered women, are being challenged. 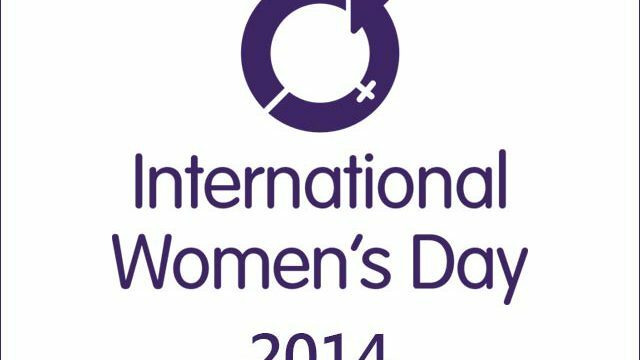 As well as addressing global issues around women, IWD is a day to celebrate the social, political and economic accomplishments of women and to commend those dedicating themselves to activism. This year, the Marsh Christian Trust, in association with Wilton Park, will present its inaugural Marsh Award for innovation in peacekeeping and peacemaking to a Wilton Park participant from outside the UK. 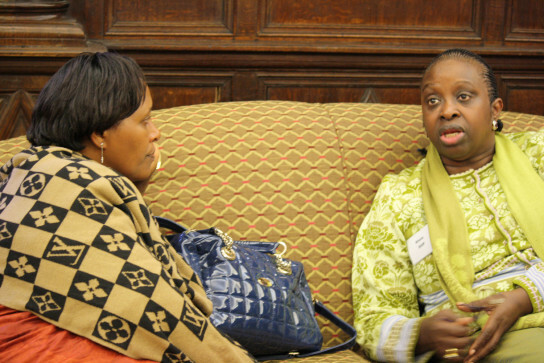 Wilton Park has shortlisted five inspirational women who attended our Preventing sexual violence in conflict and post-conflict situations and Women in peacebuilding conferences, whose contributions have had significant impact on progress in their respective fields. The winner of the award will be announced in April 2014. As part of our human rights programme, we are active in promoting ongoing international efforts to secure positive change for women. Last year we held various conferences around women such as Women in peacebuilding, gathering participants from governments, international and regional bodies, human right advocates, representatives of non-governmental organisations (NGOs) and specialists in women’s participation in peacebuilding amongst others. The conference focused on implementation of the UN’s seven point action plan. In association with the Foreign and Commonwealth Office, our conference on Human Trafficking included Hugo Swire, Minister of State, who opened the event in London. The conference highlighted prominent issues surrounding women in trafficking, such as their vulnerability once freed from trafficking and labour exploitation in the context of business, as well as considering practical ways forward in tackling human trafficking. In 2014, we will continue our work in this area with our upcoming conference, Women in the private sector in the Middle East and North Africa, highlighting the opportunities and constraints women experience in economic involvement and economic empowerment in the private sector in the MENA region. With a growing significance for the importance of women in senior leadership roles WP is exploring doing further work around women in business. Finally, our conference on The post-2015 development framework: priorities for the least developed countries incorporated gender issues, such as gender equality, identifying the key barriers to empowerment and opportunity for women in LDCs and how best these issues can be overcome. 2014 is set to be a big year for women internationally in terms of making women’s inequalities visible, celebrating women’s past and present achievements, lobbying for change and inspiring future generations to help women’s inequalities disappear across the globe indefinitely.